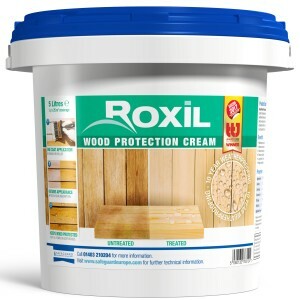 Roxil Wood Protection Cream is a colourless weatherproofer for softwoods and weathered hardwoods. Once applied, the advanced silicone cream formula absorbs into the wood and stops the ingress of moisture on wood for 10 years. 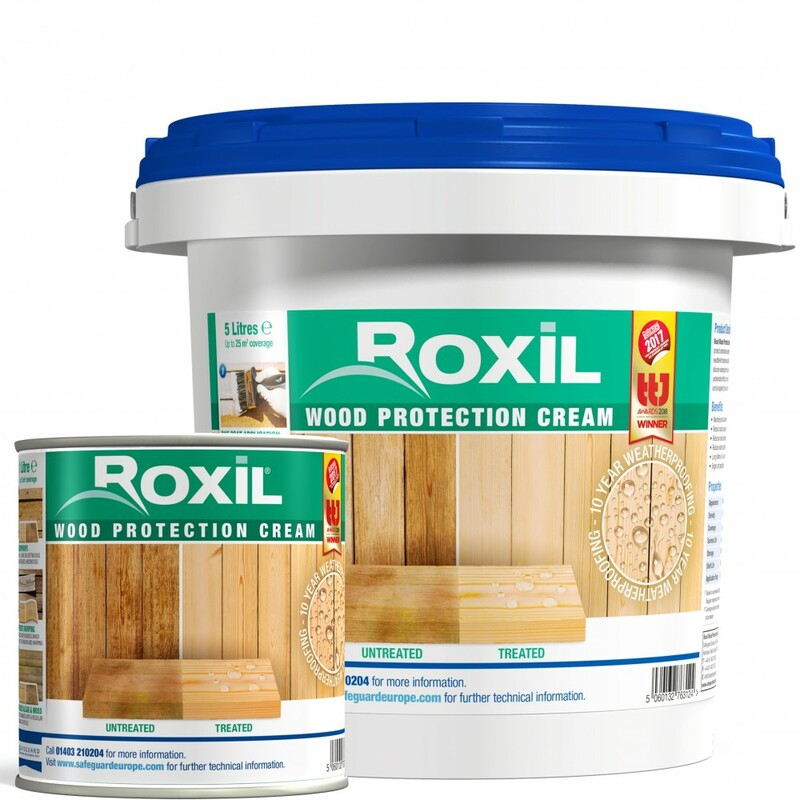 The unique cream formula of Roxil Wood Protection Cream allows for more even loading than liquid weatherproofers and does not does not drip or run, meaning only a single coat needs to be applied by brush or roller. Roxil Wood Cream has won awards every year since it's release. 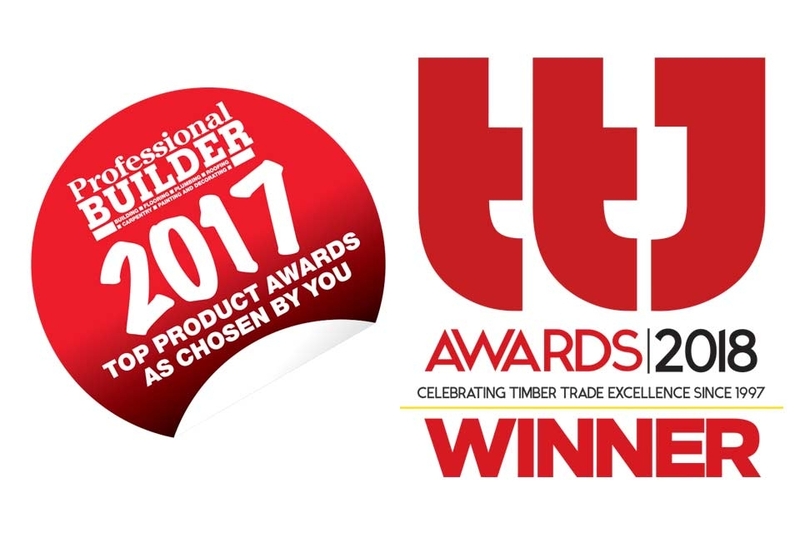 Voted for the Professional Builder Product of the Year award by the applicators themselves and the TTJ Innovation award by industry experts. Mould and algae requires moisture to grow. 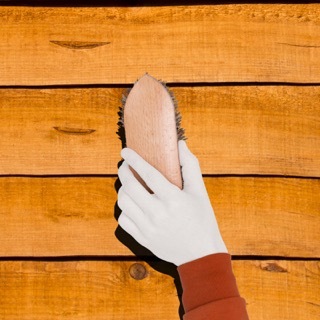 An application of Roxil Wood Protection Cream will keep the surface of softwoods and weathered hardwoods dry. This makes it much harder for mould and algae to grow. 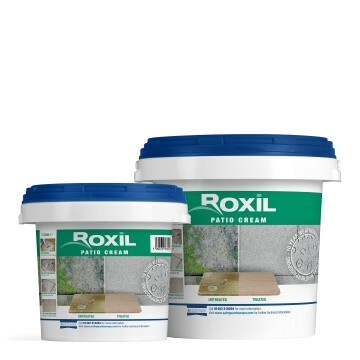 Any minor surface growth can be easily cleaned using Roxil Wood & Patio Cleaner. 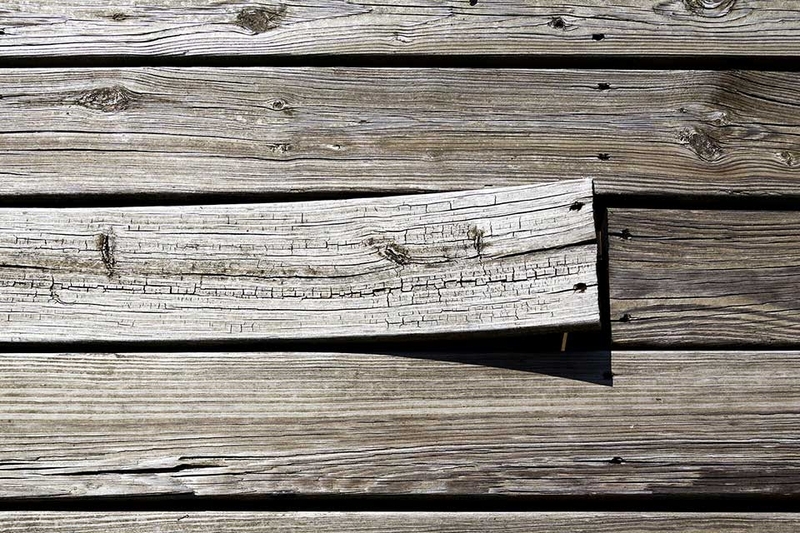 This movement can lead to wooden structures cracking and warping. 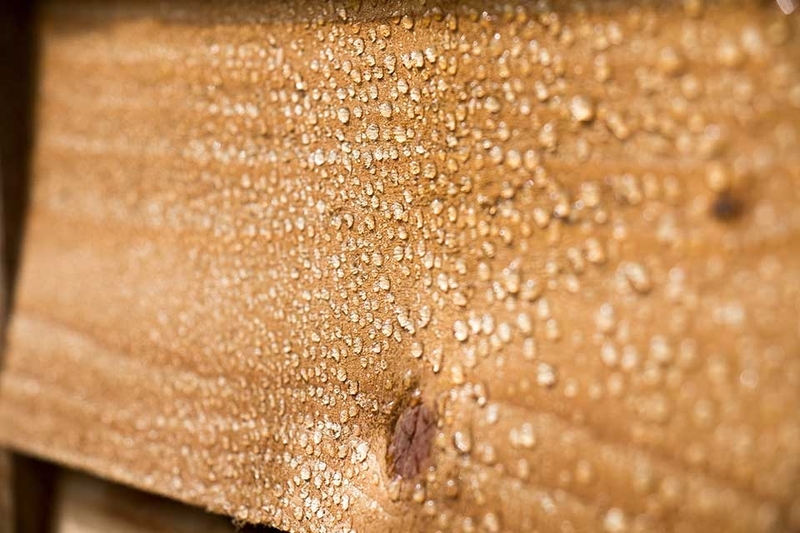 By waterproofing the wood, Roxil Wood Protection Cream will greatly reduce water ingress and minimise the expansion that causes wood to crack and warp. 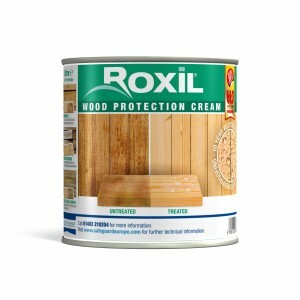 Roxil Wood Protection Cream is a colourless weatherproofer. 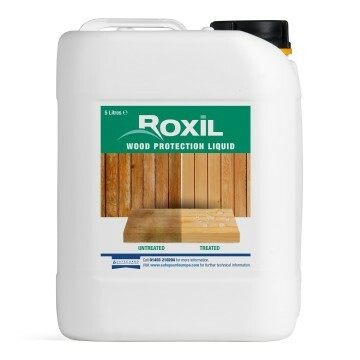 Once fully cured, Roxil will enhance the natural appearance of wood without adding a stain or sheen. It will also slow down the silvering process that occurs due to UV exposure. 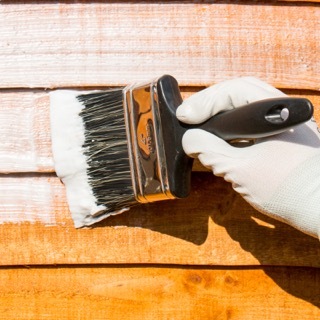 Apply Roxil Wood Protection Cream directly to the treatment area with a brush or roller, making sure to distribute it in an even and thin coat. Leave the cream to absorb into the wood for at least 24 hours, until it appears dry. This may take longer on cold winter days. See the technical datasheet for more information. Product paints on easily so long as you don't try to paint a second coat too soon after the first. In fact it is advised that only one coat should be necessary for 10 year protection. We have opted to coat both sides of the timber, front and back. For full evaluation of the product we will have to see how it is looking after a few years. 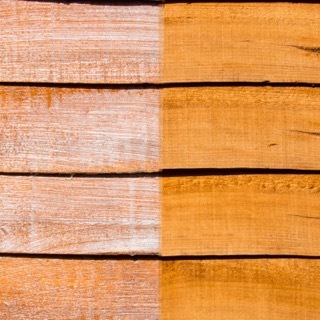 In particular we don't want the appearance of our Western Red Cedar to degenerate into the grey/silver appearance which it would if left unprotected. Time will tell.